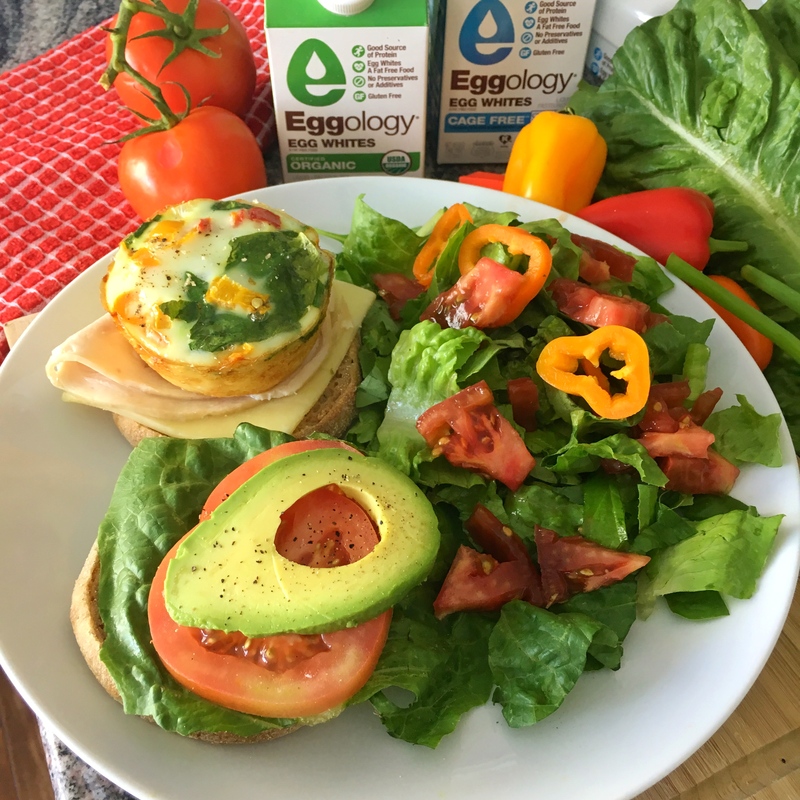 Eggology Egg White Muffins are amazing by themselves as a snack or meal and they are also slammin’ on a sandwich. The perfect healthy, protein packed and satisfying breakfast or lunch choice. This sandwich packs in an impressive 41 grams of protein. 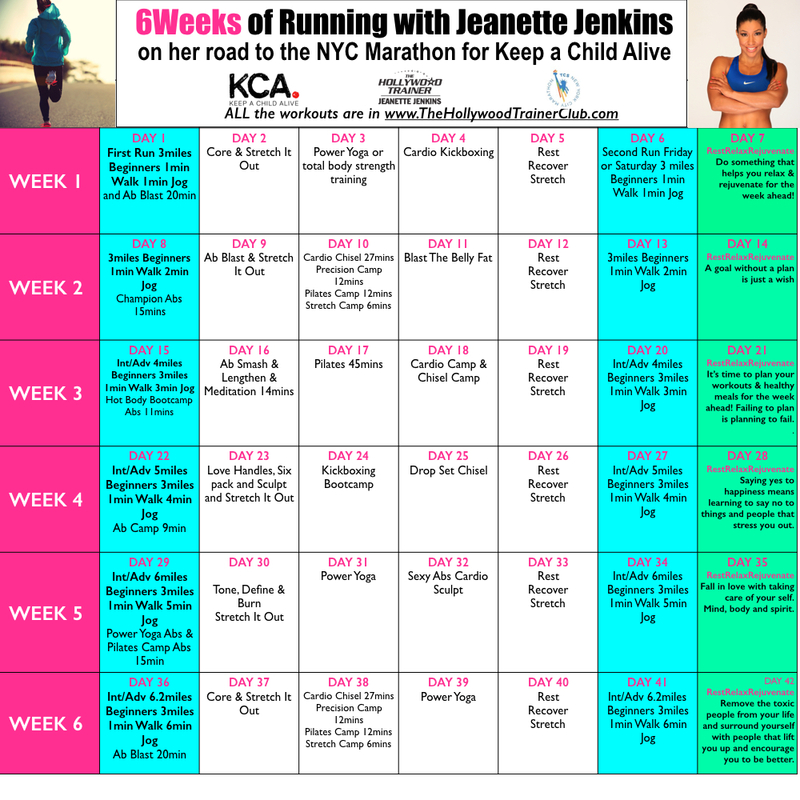 It’s Week 2 of our 6Weeks of Running with Jeanette Jenkins Challenge! This year 2016, Jeanette will be running the NYC Marathon to raise funds for “Keep a Child Alive” a non-profit organization co-founded by her client Alicia Keys to provide health care, medicine and support to children and families affected by HIV. Click HERE to donate! The 6Weeks of Running with Jeanette Jenkins Program is perfect for beginners, intermediate and advanced. We are challenging you to run/walk two times a week and cross-train three times a week . All the workouts for the three cross-training days are in The Hollywood Trainer Club and they include Power Yoga, Body Sculpting, Weight Training, Bootcamp, Pilates, Core, Focused Ab Work, Kickboxing, and so much more. 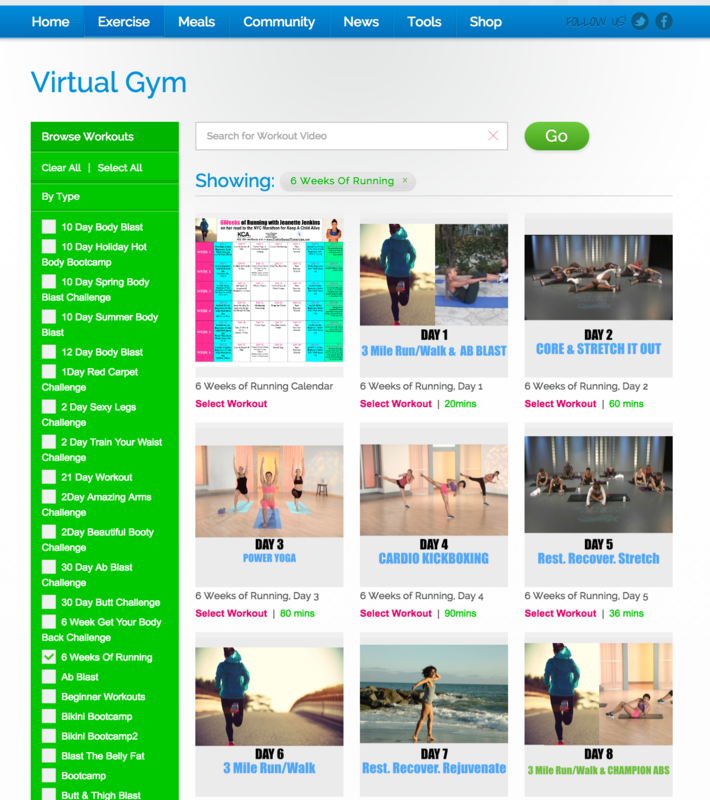 The workouts are convenient you can do them on your phone, on your computer or your tablet anytime anywhere. The run/walk you can do outdoors or on a treadmill. We will be with you every step of the way and every week we will be posting motivation & tips on Instagram, Facebook and Twitter. We will be giving you nutrition tips, recipes and motivation and of course more tips about running. Make sure you schedule your workouts for the week! You can do it! If your goals is weight-loss then this is definitely a program that will help you burn hundreds of calories and sculpt & tone your entire body. 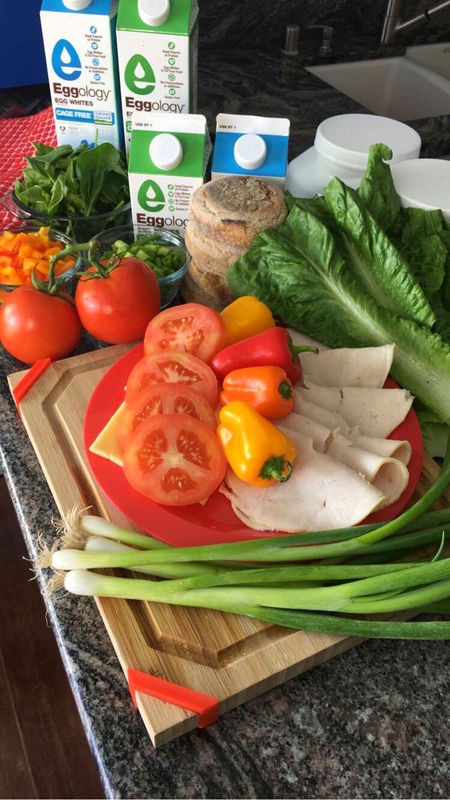 Of course you must follow the meal plans in The Club because you have to have a calorie negative at the end of the day for weight-loss and to burn fat . The combination of this program plus the meal plans in The Hollywood Trainer Club will definitely help you burn additional body fat. Post a message on the Community Wall in the club and let us know that you’re joining us! You can also ask Jeanette any of your fitness and nutrition questions on the Community Wall. She answers them every week. Print out or take a screen shot of the “6 Week Running Schedule” below and post in a place that you will be able to see everyday. Let’s go! You can do this! This entry was posted in Uncategorized by Team Hollywood Trainer. Bookmark the permalink. Copyright 2019 © The Hollywood Trainer. All rights reserved. Website by TrevNet Media Corp.